Here is Squamish, BC the sun has been shining everyday this month (I think it rained once.. in the night!) so sun protection is a hot topic right now. 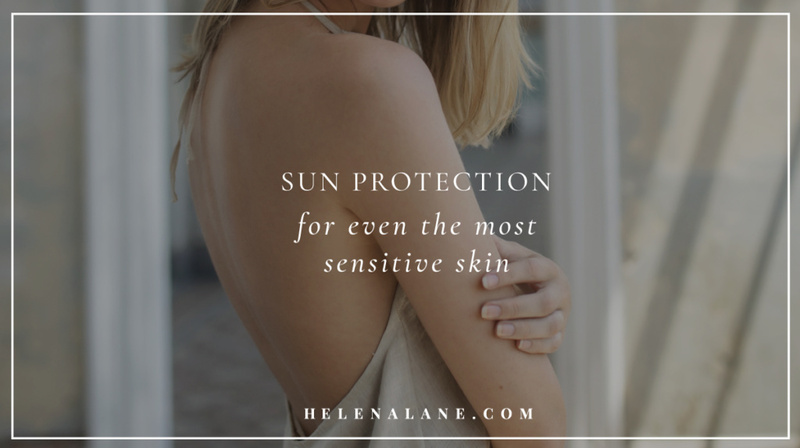 As I have said before sun protection products contain some of the most highly toxic, irritating and hormone disrupting ingredients so it’s no wonder I get many emails describing skin reactions and deep concerns. Sun protection is unique in the cosmetics industry as it is aproduct that we apply a LOT all over our bodies, often multiple times a day and on all members of the family, so the very young and very old. This a very big reason to make sure the ingredients are safe. Protection for UV rays is possible is 2 main ways, a physical/mineral sunscreen, or a chemical sunscreen. Physical/mineral sunscreens use the mineral zinc oxide (and sometimes titanium dioxide) to create a physical film over the skin that reflects the UV rays away, preventing damage. Chemical sunscreens get absorbed into the skin and absorb the UV rays there before they can do any damage. Most chemical sunscreen ingredients only absorb either UVA or UVB rays so multiple chemical active ingredients need to be added. Also, as they are absorbed into the skin, rather than layered on the surface, it is more likely to cause skin irritations and reactions. The zinc oxide used in mineral/physical sun protection has the added benefit of being anti-inflammatory on the skin, a great thing in the heat! I also learned recently that chemical sunscreens actually create more heat in the skin, and melasma and pigmentation issues are made worse in the heat! So, if you are wearing sun protection to minimise dark pigmentation, you may be making the issue worse by using a chemical sunscreen. When choosing new sun protection always read the ingredients lists. Oxybenzone and Octinoxate have the most concerns due to their high risks of allergic reactions and hormone disrupting abilities but there are many other risky ingredients too. Scroll down on this webpage for a fantastic table of ingredients to watch out for and why, based on research by the EWG (Environmental Working Group), one of the best resources for safe cosmetics. As you will be rubbing this all over your (and your loved ones) bodies, you want to make sure the base is as safe and natural as possible. Look short lists of plant-based ingredients – things you recognize deally! By avoiding the highly irritating chemical active ingredients and choosing sun protection in a base of gentle plant based oils, butters and waxes, you are going to minimize the chance of reacting to the product. In fact, you can use it as a product for nourishing the skin as well as protecting it. I have two mineral sun protection creams, both with the same base of nourishing plant oils, butters and waxes and zinc oxide (non-nano). One has the addition of Lavender and lemongrass essential oils to help with repelling pesky bugs. The unscented Chamomile & Calendula is safe for babies (under 6 months please consult your care provider) and children even with the most sensitive skin. They can replace your daily moisturizer for days you will be exposed to the sun (please be aware you may want to reapply during the day), and in fact make a great after-sun too due to the cooling and calming herbs and anti-inflammatory zinc. Texture is very important in a sun cream, when formulating this I made sure it absorbed quickly, without greasiness or stickiness and with minimal white residue. To encourage everyone to switch to a mineral/physical sun protection cream we will be giving a free 15ml sample of my sun cream in all web orders for the rest of July (if you have a preference between the Chamomile & Calendula or Lemongrass & Lavender, please state which one when you place your order). I was wondering if I could please get a free sample of your sunscreen. I’ve been on the hunt for a good one that’s organic but also spreads on easily.